Form + Content Gallery presents EMBODY, a collaborative exhibition conceptualized by five recent interns of Form + Content Gallery. The interns will show artwork in a variety of media, ranging from painting to pen and ink to installation. From representational to abstracted depictions, suggestions towards the body and how it can be used to convey varying themes is an area of exploration for all of the artists. A body inhabits a space, acts on its surroundings, and is seen by a viewer, becoming an embodiment of experience. Quinn’s work is first and foremost intuitive, chance driven abstractions that are heavily about process. Quinn creates sets of circumstances or references that seem worthwhile but don’t quite come to fruition; like an incomplete sentence, an “almost” painting. Through the way that the paintings are made, you are left thinking as much about the physical construction as about the construction of its meaning. The work does not make direct references to anything other than the materials they are made of, and investigate the way we attribute, or even force associations, references or meaning onto raw material. Quinn Barnard is a fine artist and recent graduate of The Minneapolis College of Art and Design. Quinn has participated in many shows both within and outside of MCAD, and helped curate as well as exhibited in “Democratic Archive” at Head to Toe Salon. Elizabeth creates both functional and sculptural terra cotta clay pieces that pay homage to traditional craft and domestic work. The work addresses her own questions about how to occupy traditionally female roles as a feminist and how to embrace these roles as an artist. She explores this by creating meditative and repetitive clay pieces and linking them together with naturally dyed yarn to create mixed media tapestries. She also creates traditional wheel-thrown pottery pieces with feminine shapes and designs. winner her senior year, and Friends of the Gallery Award winner at her Senior Exhibition. Following graduation she attended the Women’s Art Institute where she experimented with raku firing and thought more about ideas of home and space. In the fall of 2017, she moved to Denver, CO where she now works as a Clay Technician for the Children’s Museum of Denver and Art Educator for the Boulder Museum of Contemporary Art. raw obsessiveness of who he is and what he creates. The repeated patterns throughout each composition allude to his precise creative practice as well as the exactness of each element that he chooses to demonstrate. 2016 and 2017 All Student Juried Show 1stplace awards for (Best of) Excellence and Best of Show. He learns best from working with those around him and enjoys a collaborative environment. sculptures—the “Blobs”—are embodied remnants of her life, created in a process that is sometimes repulsive and sometimes delightful. For the artist, nurturing these strange and beautiful forms into being represents her process of fully embracing and celebrating her queer self, in contrast to homophobic society’s rhetoric of disgust and shame. 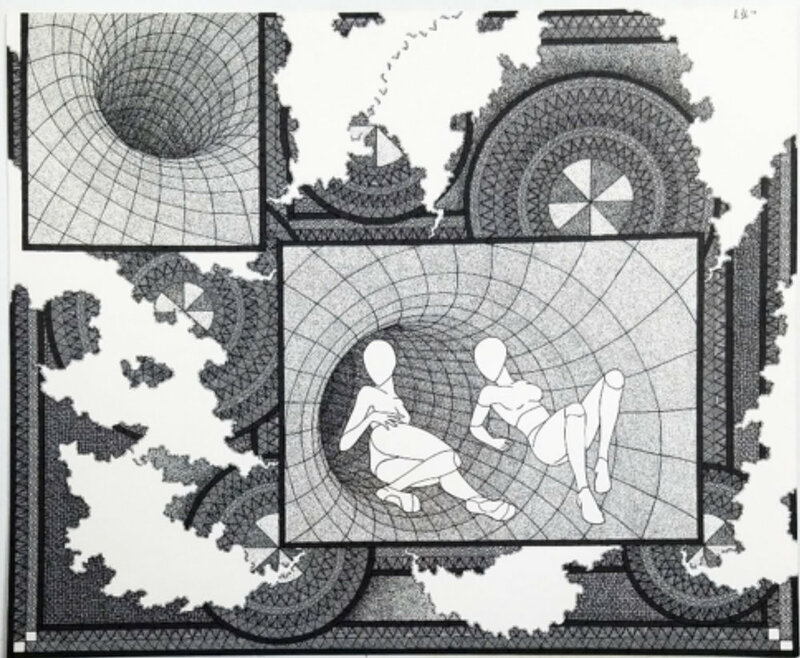 The large soft sculptures are exhibited piled together as interconnected beings inhabiting space. Vatina McLaurin is from Chicago and lives in South Minneapolis. She graduated from Augustana College in Rock Island, IL in 2014 with a BA in Cultural Anthropology and Interreligious Studies, and attended the Women’s Art Institute at St. Catherine University in 2017. Vatina did a residency at the Wormfarm Institute and has shown work at the Figge Art Museum and the Textile Center. She teaches at Urban Arts Academy, an arts-based preschool in South Minneapolis where she and the preschoolers enjoy creating messy, process-based art together. Kimberly creates oil paintings that explore feelings of disconnect within a well-known space, matched with a desire to feel at home there. As time passes embodying a space feels expected yet the place continues to feel unfamiliar and out of reach. The figure/ground relationship begins to interweave as a search for ownership of space occursand the stability of the recognizable is questioned. Kimberly Wetzel grew up in rural North Dakota and moved to Minneapolis, where she currently resides, to receive her Bachelor of Fine Arts in Painting in 2017 from the Minneapolis College of Art and Design. 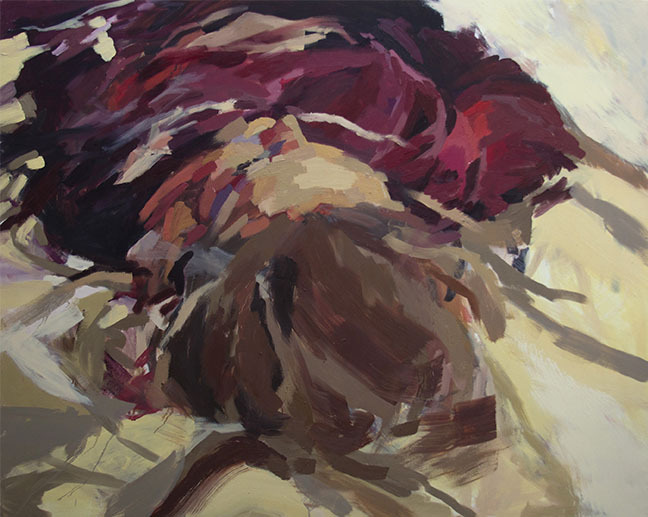 Her practice consists mainly of large-scale oil paintings, seeking a mixture of gestural abstraction and representation. She creates work that leaves room for the viewer to engage with the formal and material qualities of the painting first before an image appears.